The gadget will be fueled by the Exynos 9610 chipset combined with the Android 9 chipset. The chipset highlights the four ARM Cortex-A73 centers timed at up to 2.3 GHz and four ARM Cortex-A53 centers with the Mali-G72 MP3 GPU giving you a chance to play the applications and different recreations proficiently. Lowest updated Samsung Galaxy A50 Price in Pakistan 2018-2019 is always available on pricealert.pk. 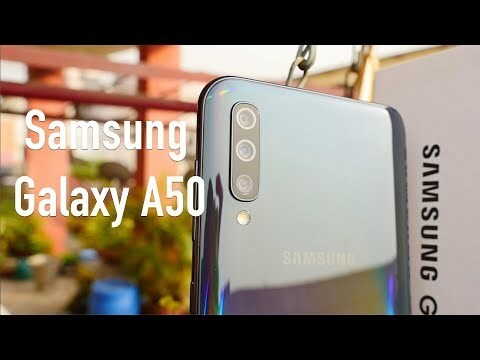 Samsung Galaxy A50 comprises of 4 GB of RAM with the capacity limit of 64 GB expandable up to 128 GB. Check out the full Specifications including Camera, Colors, Images or Pictures and all other Features. There are no explicit subtleties that are discharged about the camera determination of the cell phone. You can buy online in Pakistan easily from here. The network suite of the gadget incorporates Wi-Fi 802.11 air conditioning double band, Bluetooth 5.0 Low Energy, GPS with A-GPS. The normal cost and the dispatch date of the gadget are not official yet. Share Samsung Galaxy A50 Mobile Price in Pakistan with your friends and family, the mobile is available here. You can buy from different stores online in Pakistan. In the Following Pros and Cons are Provided with Full details, you are welcome to share your thoughts here. This product is available in Daraz, Telemart, Goto, Mega, Yayvo, Myshop, Shophive, Ishopping, Homeshopping. At daraz.pk you can purchase Samsung Galaxy A50 6.4'' 4GB 128GB for only PKR.49,549, which is 7% less than the cost in Ishopping (PKR.52,999). The lowest price of Samsung Galaxy A50 128GB 6GB RAM Dual Sim White - Without Warranty was obtained on April 23, 2019 11:40 am.